Can you stump the Geek? Free Game Giveaway - Every Day! Just like our daily free software giveaway, we now have a daily game giveaway. If the image doesn't appear (it has issues sometimes) just click on the blank space below to see the free Game of the Day. Optimist or Pessimist. Who Cares? 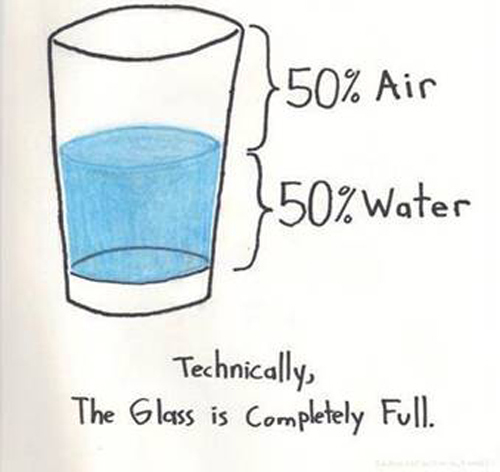 People always claim they are either an optimist or a pessimist by how they see a glass that is half-full with liquid. Of course geeks know that the glass is completely full, maybe not with liquid, but it's full. In an effort to encourage adoption of stronger passwords, SplashData, a leading provider of password software for more than 10 years, released its "25 Worst Passwords of the Year" list for 2012. Morgan Slain, SplashData CEO. "We're hoping that with more publicity about how risky it is to use weak passwords, more people will start taking simple steps to protect themselves by using stronger passwords and using different passwords for different websites." See the rest of the Top 25 Worst Passwords of 2012. The Great Lakes Geek wants to know who all theses people are that use 'monkey' for a password! 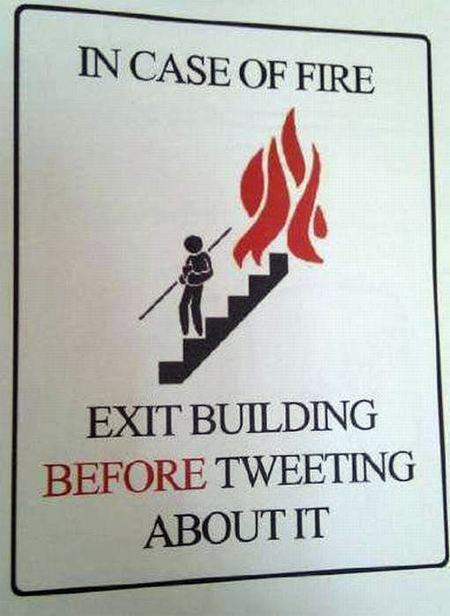 Good advice. 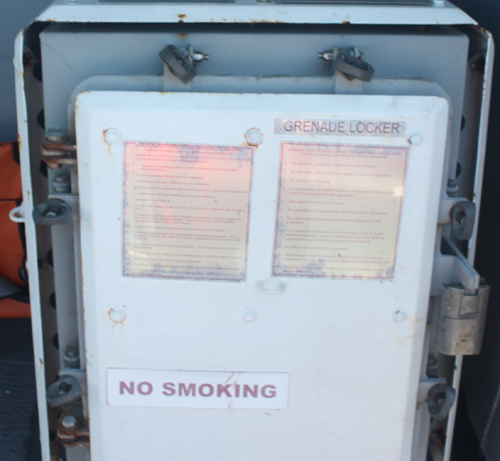 No Smoking by the Grenade Locker! Way back in 1983 the Great Lakes Geek got his first portable computer. It had a great form factor, nice keyboard and useful ports. The LCD screen was only 8 lines and 40 characters across but that seemed plenty for the text-based BASIC programs you ran on the unit. Maybe the best part of the ahead-of-its-time unit was the built-in 300 bps (yes 300 bps) modem. It made the Model 100 a favorite of journalists who could type about 10 pages of text into the unit and then plug into a phone line and upload their columns to the main office. 300 bps sounds excrutiatingly slow but when you just transferred ASCII character and plain text, it was surprisingly useful. The Geek spent a lot of time on the old Cleveland Freenet with that device. The Great Lakes Geek recently uncovered his old Model 100 and shot this video of it. Ah, memories. Are you man enough for a Droid? Nielsen's latest numbers say that about 1/3rd of US cell phone subscribers now have a smartphone. They surveyed 9,200 people and Women want iPhones more than Androids (31% to 23%) while it's the opposite for Men (32% to 28%). The latest Great Lakes Geek poll has Droid users leading 72% to 24% over iPhoners (4% none or other). Check out the website for the band The Raconteurs. It's that old green screen style and you get a DOS-like menu where you have to use the keyboard to select. Very cool. Maximize the page (with the F11 key) and take a trip back in time. The best thing about this laptop is that it runs Windows natively - and there's a snack available at any time. I don't see why so many people complain about Math and Science. It's not that complicated. Just follow the prof's notes in class. For those of you who haven't yet gone metric, here are some handy conversions. Got more? Send them to the Geek. Scrunchy? We don't need no steenking scrunchy. The annual Parade the Circle isn't the typical parade. With floats decorated by University Circle institutions and participants tapping into their vast creativity, Parade the Circle is as unique as the neighborhood it travels through. You have to admore the creativity. 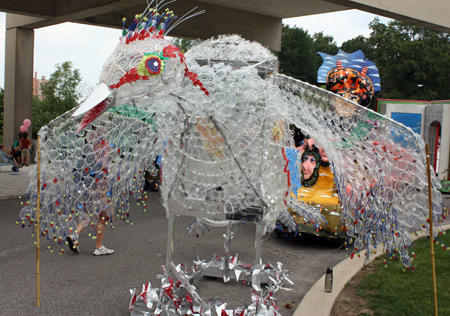 For example, this float called the Phoenix is a 10' bird made by Sawson Alhaddad, an anesthesiologist at the Cleveland Clinic. Alhaddad saved up clear plastic packaging from medical supplies and created this amazing structure. The Geek had a blast at the first annual Cleveland Asian Festival. Lots of terrific food, entertainment and so on. But some of the most fun was watching people don a fat suit and try their hand at sumo wrestling. As this short video shows, maneuvering wasn't always easy. OK, I've heard of wearing your heart on your sleeve but broadcasting the amount of e-mail in your inbox on your shirt? That's what Chris Ball does. Chris Ball is a free software developer who lives in Boston and works as Lead Software Engineer for One Laptop Per Child. On a recent free day he got some free electronics to mess with and came up with his new shirt. He made a t-shirt that displays how much unread e-mail he has using an Arduino Lilypad and Bluetooth dongle. An Android phone sends the number of unread mails to the shirt. 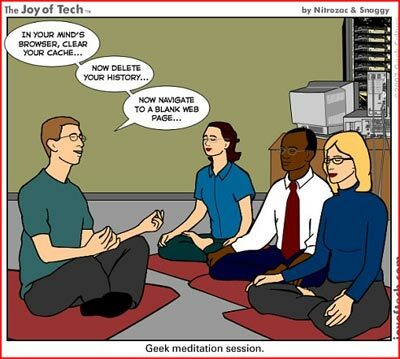 What is it about geeks and April Fool's Day? Manipulating hardware and software for fun and pranks has long been a favorite geek pastime so when society dedicates a whole day to it, what else did you expect? Some of the old-time pranks will still work, especially with newbies, but are getting boring. I mean how many times can you rename one of those open the CD/DVD drive door files and send to a co-worker? So the drive jumps open. Oh boy. There are a bunch of pranks for smart phones but since many are device specific, I'll let you search for them. Here are 4 easy ones that you can try on your pals on the 1st. 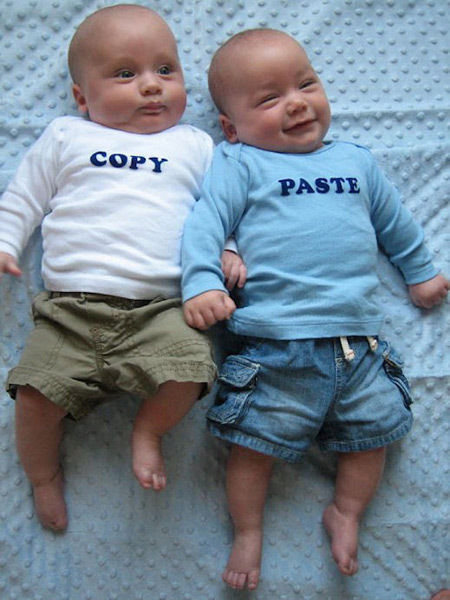 If you have access to their PC, go into Word and set up the AutoReplace with something funny and irritating. You can be obvious and have the system replace a common word like "the" with an insult. Or delay the agony by making more discrete changes such as a misspelling of your company name. Everyone has access to a wireless USB remote control for PowerPoint presentations, right? Sneak the wireless receiver into the victim's USB port and then when you are ready, and in range, start messing with his mouse movements and clicks. You can also mess with their keyboard. In Windows open Control Panel, Keyboards and Languages (Regions and Languages in XP) and select Change Keyboard. You can change layouts or even languages. Most European language keyboard layouts are very similar so the target might not catch on for awhile. This last one is a lot of fun. Take a screenshot of the person's desktop (PrintScreen in XP or Snipping Tool in Vista or Windows 7). Right-click on the desktop. Choose Personalize and change the default desktop image to the screenshot you just made. Then go to the View menu and uncheck Show Desktop Icons. Then the victim's desktop will look normal but when he clicks on an icon, nothing happens. It's just an image! If you are more extreme, download an image of a broken LCD and use the above trick on the victim's laptop. Be prepared for revenge - and they may not wait till next April 1st. So that's how it happens! 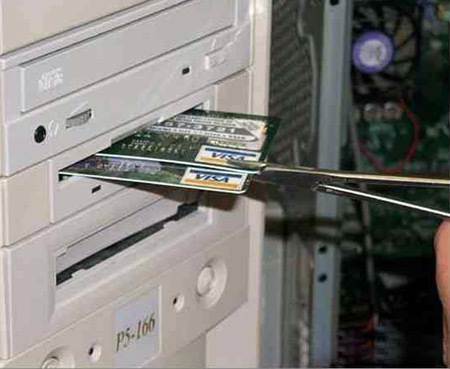 Well, technically they were told to insert their credit card. The Great Lakes Geek has always been a fan of Alice in Wonderland - but maybe for different reasons than most. In college I was exposed to the mathematics of Charles Dodgson, aka Lewis Carroll. Alice's Adventures in Wonderland and its sequel Through the Looking-Glass are loaded with logical puzzles. So are the the poems "The Hunting of the Snark" and "Jabberwocky." Dodgson was a pretty good mathematician, and not just in logic. He also did good work in geometry and matrix algebra. Other Geeks have created their own versions of Jabberwocky. Check out some geeky alternative Jabberwockys. What happens when you point the Hubble Space Telescope at a seemingly blank patch of sky? It's not so empty. Watch the results of the Hubble Ultra Deep Field 3D project. This has been around for awhile but it's still really cool. 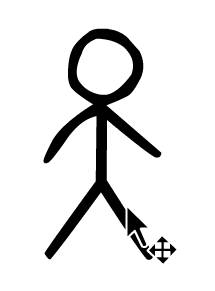 Alan Becker created a flash animation where the animation fights back against the animator. It takes a few second to load but it's worth a view. I wonder how long it took him to do this. Grab this small text file and open it in Notepad. Then press Control-H and tell it to replace 6 with _ and Replace All. Watch the greeting emerge and have a great 2010. A mathematician got an earful from his wife when he came home at 3 AM. Star Wars named best movie music of all time! John Williams� score for the original 1977 Star Wars movie has been declared the best science fiction movie soundtrack of all time in a poll conducted by popular sci-fi website Totalscifionline.com. The score to Star Trek II: The Wrath of Khan, composed by James Horner, came in second place, while Vangelis� haunting electro soundtrack for Blade Runner - recently voted the best sci-fi movie of all time - completed the top three. You know they type. Maybe you are that type. 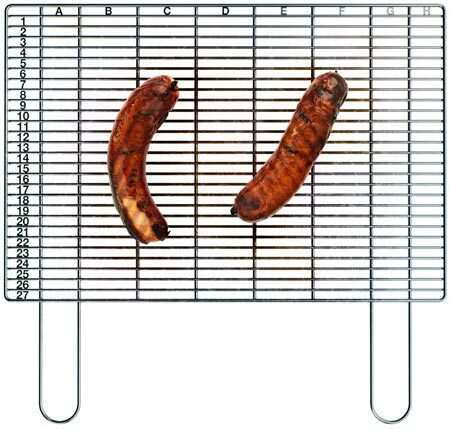 CPA's and other bean counters sometimes just can't relax - even while camping or at a summer barbecue. 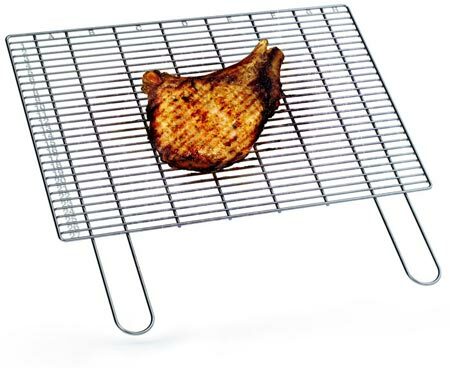 Now they can order up a special grill accessory. The current economic conditions are forcing companies to make hard decisions. 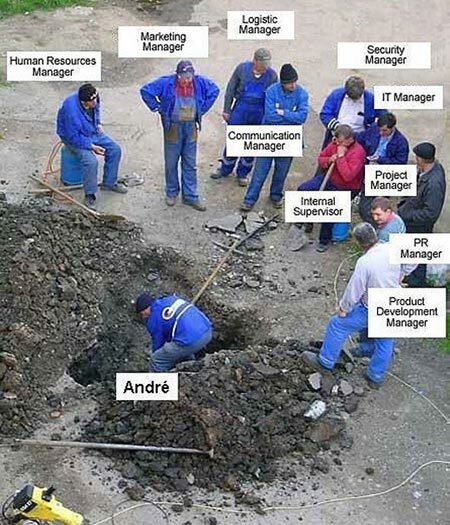 There is a risk we may have to lay off Andre. 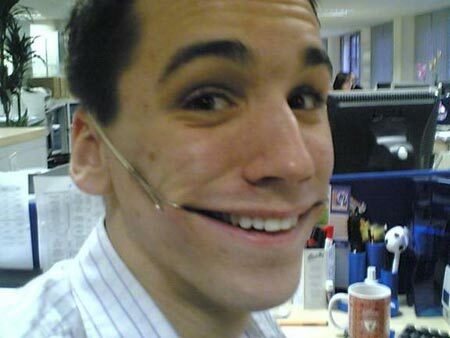 Due to the hard economic times and otherwise depressing state of the world today, all personnel will now be required to at least look happy while working. Company-approved supplies will be provided to each employee at little or no cost. Here is the new low-cost, company-approved solution to cope with multiple priorities and assignments! 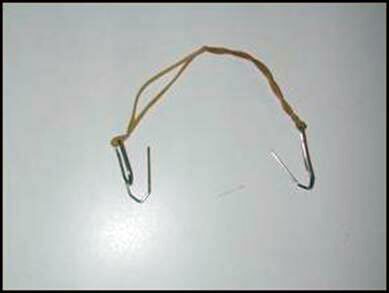 Each employee will be supplied 2 paper clips and rubber bands. Apply as shown. Enjoy your day. This new office equipment will help you to reach the end of a productive work day with a smile on your face! Come back every day to see the daily Dilbert comic. Or check out the Dilbert Widget Page to get a widget like this for your own site or blog. See how well you can eyeball the center of a circle, bisect angles, make parallelograms, etc. It's easy to determine the number of games played to determine a champion in a single elimination tournament. Say there are 64 teams in the tournament. When a team loses they are out so 63 teams must lose to determine the champ. That means 63 games are needed. In general, if there are N teams in a single elimination tournament, you need to play N-1 games to get a champ. 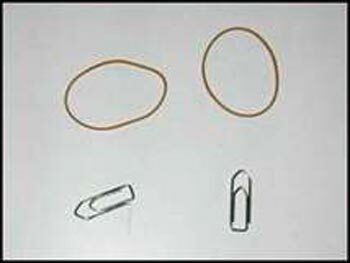 If you want to make sure you have a perfect bracket you'd need to do every possible combination. With the play-in game, there are 64 games played. There are two possible outcomes for each game so the possible outcomes are 2 to the 64th power or about 18 quintillion. Check out the world's largest remote made for Windows Media Center using one of those Dance Revolution floor mats. He even created a C# .net library to get a simple interface for future applications and is releasing it so you can play with it too. Sweet! We've all seen some interesting uses for USB ports. Fans to keep you cool, little heaters to keep your coffee warm and so on. The Onion reports on the newest innovation from our pals at Apple. Almost too real to be funny. No, not the annoying mass e-mail messages. We're talking about the original tasty product in a can from Hormel. The classic list of Haiku error messages. Do you have any more? 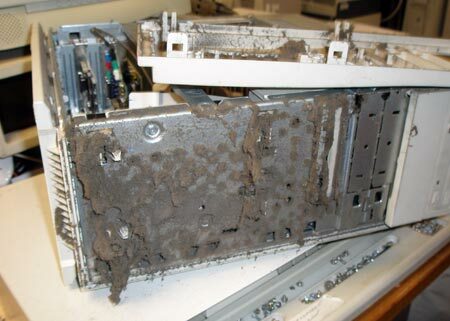 Gee, why did this PC stop working? Sadly, this is fairly typical of some of the PCs that are donated to Computers Assisting People. That's CAP Hardware Coordinator Dan Davenport about to clean up and work on this donation. 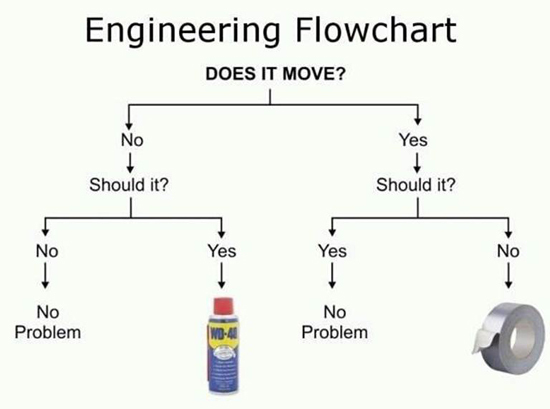 Who has the can of compressed air? Remember, give plenty of space around the fan on your PC and keep it off the floor if possible (especially if carpeted). 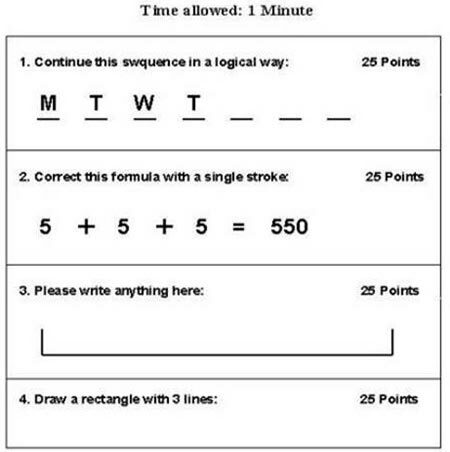 This is supposedly part of an Irish college's entrance exam. Give it a try then scroll down for the answers. Are you college material? 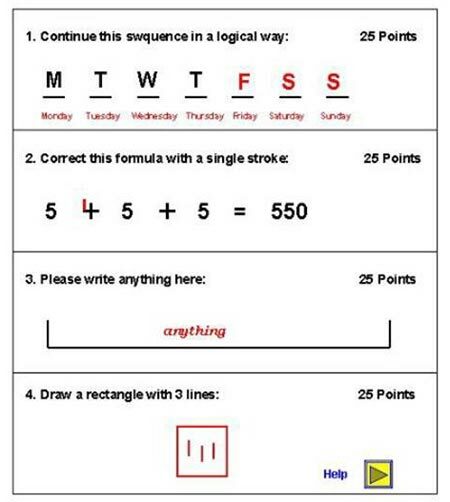 I think you could also draw a slash through the 'equal sign' in number 2 to make it 'not equal' but the provided answer is better. Uh, Jerry, it's not you, it's me. Buh-bye. What do Superman, Batman, Green Lantern, The Spirit, Captain Marvel and The Hulk all have in common? If you said they have alter egos, look good in spandex, and helped shape American values, you're right. Check out Zap! Pow! Bam! 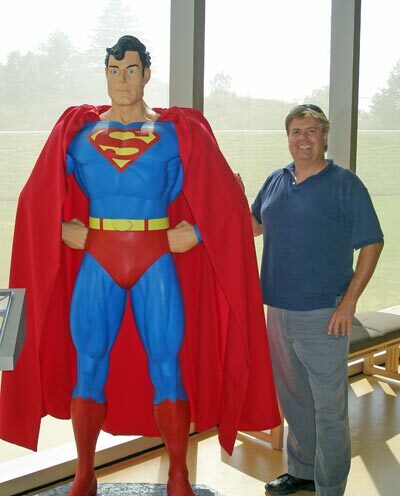 The Golden Age of Comic Books, 1938-1950 at the Maltz Museum through January 4th. Lots of one-of-a-kind stuff and fun, interactive stuff for kids. Move your mouse over the screen, and you will have the impression, you are flying over the mountains. Aim the mouse arrow at a mountain top. Also, try moving it left to right. Get your Dramamine ready! 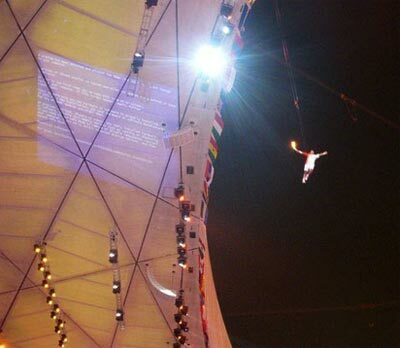 A Blue Screen of Death crash is always a hassle but when it is 10 stories high and during the Olympics Opening ceremony, it's worse. 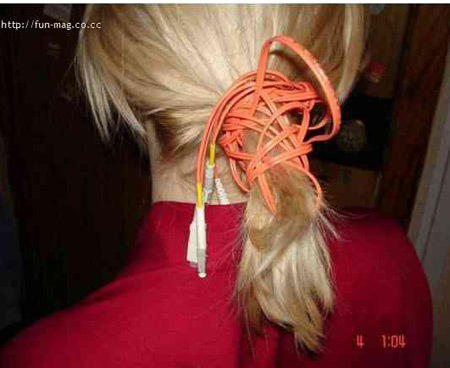 A quick blogger grabbed this image and posted it on MSNSpaces. Lord of the Rings. Star Wars. Star Trek. 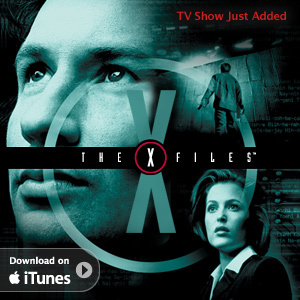 All the geek favorites are available for your travel plans. The first picture from NASA of water on Mars. It's amazing. Yeah, yeah. You've probably heard them all - but they are still pretty good. I wonder how long it took for the people to figure out how much the check was for? For those of you who are mathematically challenged, 0.002 + e raised to the 2pi power is 535.4936555. The limit of the sum, as n goes to infinity, of 1 over 2 to the n'th power is 1. So the check is made out for $536.49. But you already knew that, right? HEMA is a Dutch department store. The first store opened on November 4, 1926, in Amsterdam . Now there are 150 stores all over the Netherlands . HEMA also has stores in Belgium, Luxemburg, and Germany . In June of this year, HEMA was sold to British investment company Lion Capital. Take a look at Hema's product page You can't order anything; it's in Dutch, but wait a few seconds and watch what happens. 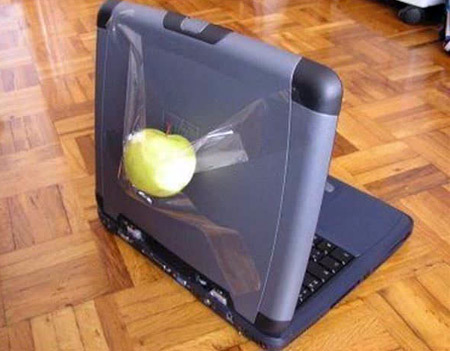 You know those "I'm a Mac, I'm a PC" commercials?" A man was riding the bus. He was sitting next to a woman who was reading a newspaper. The headline blared "12 Brazilian soldiers killed." She shook her head at the sad news and asked "How many is a Brazilian?" We live on a big planet - we should get some respect, right? Take a look at these images and see how big you feel. 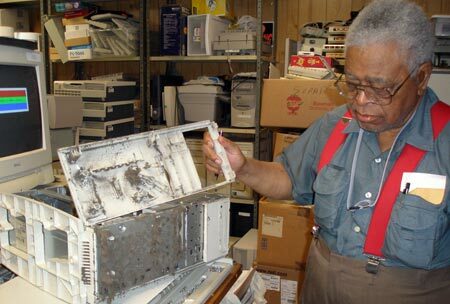 What do you do with all those outdated PCs? There�s something about Halloween that brings out the inner geek. Whether you live in a castle or a dungeon, your pals at Psooodough Mart have dug up a wacky list of (mostly) techie toys designed to set the stage for a geeky Halloween experience. Escher's "Relativity" in LEGO�. An "impossible" picture drawn by the brilliant MC Escher comes to life with Legos. Can we shoot the end users? I know all about Black 47. That's the Irish Band named after the most tragic year of the Irish potato famine - 1847. But I had never heard of System 47. Turns out it is a Star Trek reference as explained at schlock.net: "Midway through Star Trek: The Next Generation, the number 47 began appearing on Star Trek seemingly anywhere the writers needed a number. Shields would drop to 47 percent; 47 people would die in a disaster; 47 minutes would remain until certain death." So when the guy behind MeWho.com created his Star Trek screen save, he named it System 47. It's a free download (only 1.3 MB) and you can always uninstall. Here's two fun websites to test your reaction times. First is a hit the penguin with a bat - go for distance. Click on Bigfoot to start and then again to swing. The second is Tranquilize the sheep. No sheep or penguins were harmed. 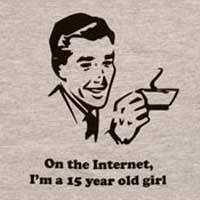 Have you heard the buzz about the new ringtone that supposedly only teens can hear? The story is that some store owners were playing a sound that was supposed to keep mosquitoes away and found that teens could hear it too but not adults. So they started playing it to keep teens from loitering. But teens can be industrious so someone figured that if they could hear it but not adults, it would make a perfect cellphone ringtone - one that teachers and other adults couldn't hear but their friends could. The Great Lakes Geek spent too many years with the amps cranked to 11 to hear much of anything anymore but I was still able to detect this sound. Can you? This is a great reference. 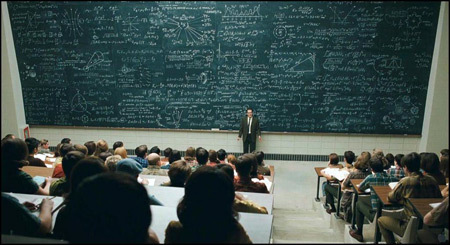 Who would have thought that Britney Spears was such an expert in Schr�dinger's equation and Quantum Physics. But she must be. It's on the Internet so it must be true, right? The lessons are actually very good and the Britney connection makes it fun. These guys did a great job with their site. Maybe you can get your teen son to do his homework now.